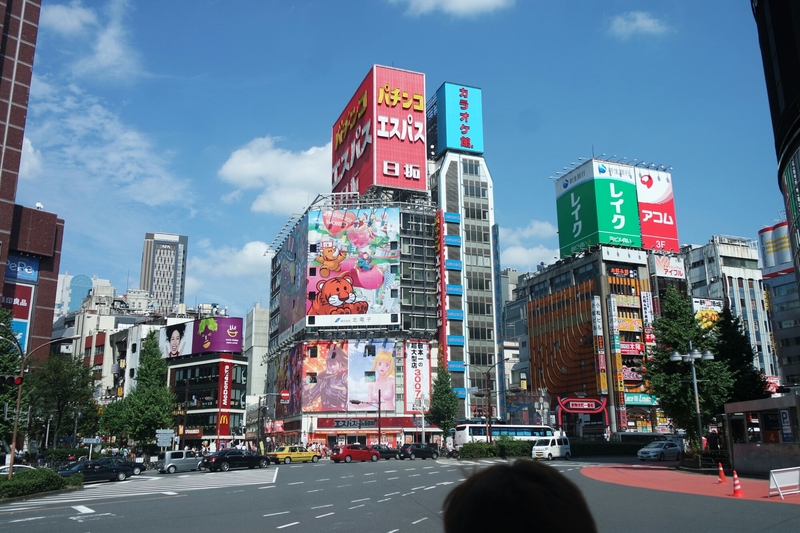 It’s time for Shinjuku, the district that is alive and kicking, just like the Pokémon counterpart Celadon City. 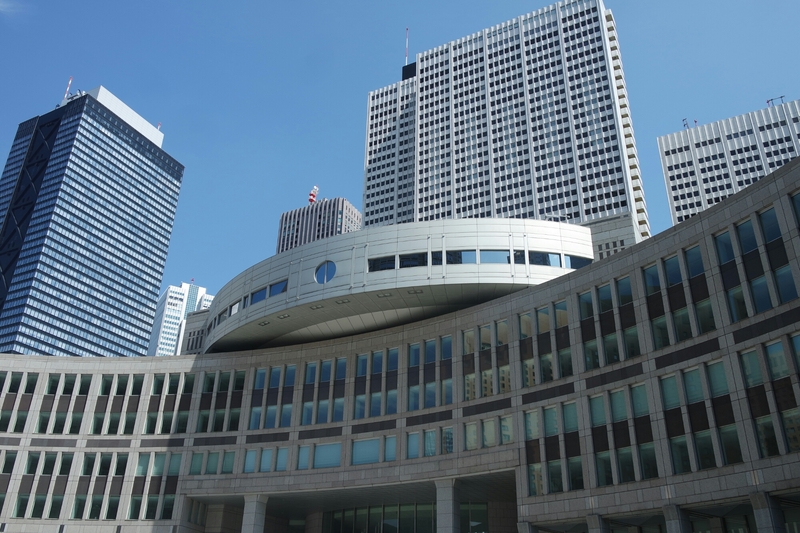 This district is on the western side of Tokyo and is large in scale and diverse in sights, named a ‘Fukutoshin’ (meaning ‘secondary heart of the city”). 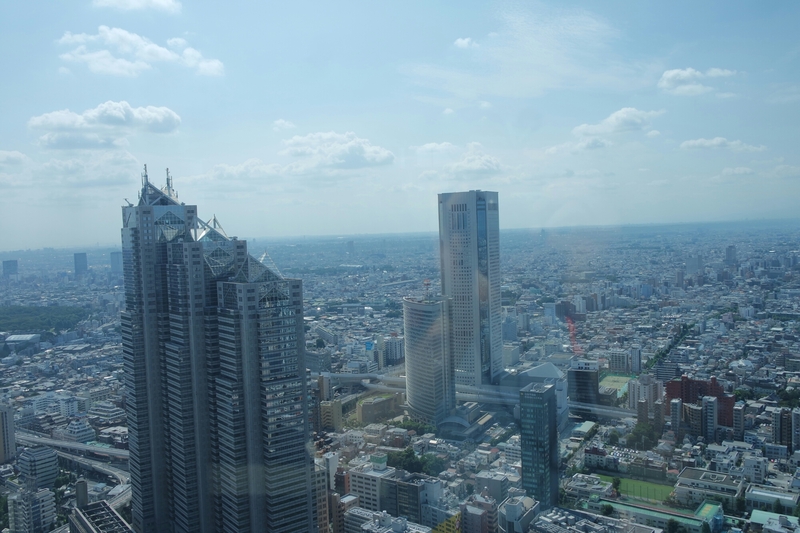 Overall though there are two distinct parts of Shinjuku to take note of. 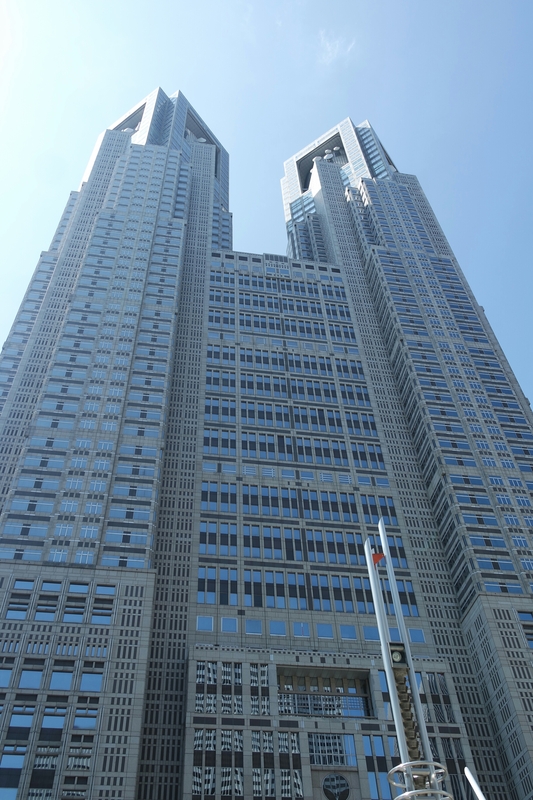 Firstly there’s West Shinjuku, filled with skyscrapers and important buildings such as the Tokyo Metropolitan Government Offices. Most of the taller structures here have observatories or restaurants on their top-floors meaning even if you don’t work here, you can still enjoy the views of the city. Many of the buildings here are also some of the most expensive, including the government offices which, finished in 1991 cost US $1 billion. It’s this district that one might call home to the Celadon Mansion where players could meet the Game Freak staff as well as pick up an Eevee for their Pokédex. We managed to go up the government office south tower and there’ll be some pictures attached below. As a side note, however despite the richness of the area, down below these buildings, under the many bridges in the area are numerous small shanty towns. They’ve really packed their stuff here and nobody seems intent on moving anybody along. It’s the only instance in all of Tokyo we’ve found where people are living on the streets, but it seems they’ve formed a community nonetheless out of this. Speaking of the Gym, how does the traditional Japanese girl Erika fit into this place with her grass type Pokémon? 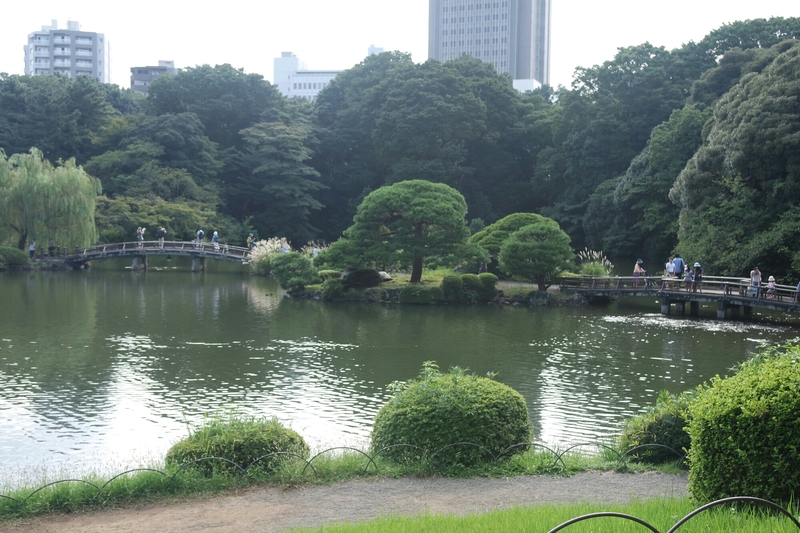 Just on the edge of East Shinjuku is the Shinjuku-Gyoen Garden. Completed in 1906 as an imperial garden, and made a national garden opening it up to the public after World War II, the site combines three distinct styles of landscaping. 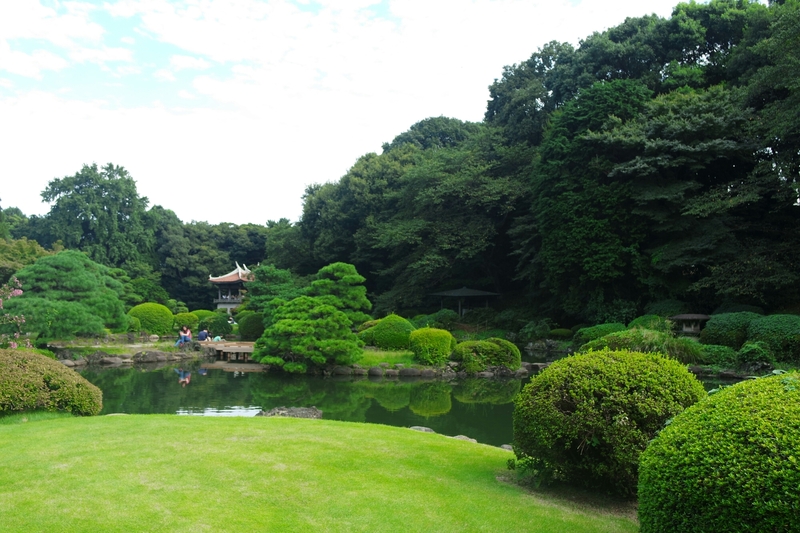 There’s a French garden section, and English garden section and of course a Japanese one too. There’s also a large greenhouse and several distinct plants and flowers planted about the area. A little place of peace among the craziness of the city it seems to me the perfect place for Erika and her trainers to train and relax. It would be pretty easy to fall asleep lying on the grass here too. 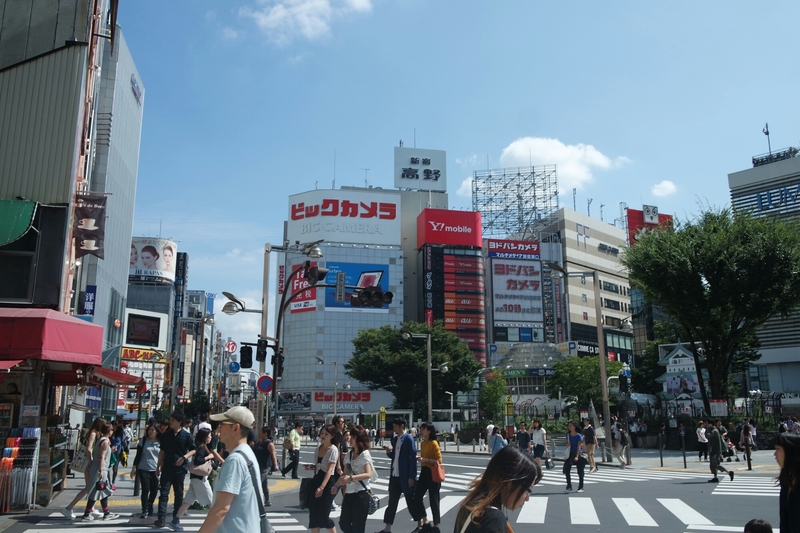 Add to that the shopping and society that Erika enjoys and it’s easy to see why a place like Shinjuku is her home. 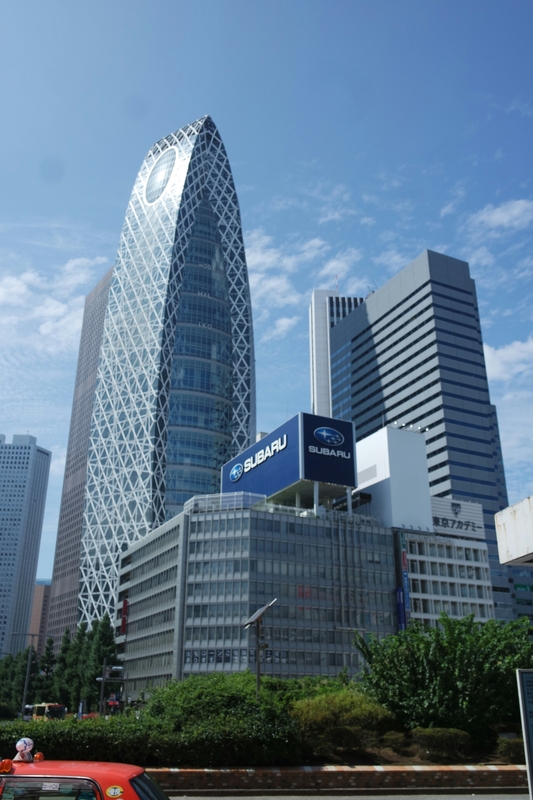 All in all Shinjuku is the place Tokyo comes to play and Celadon City certainly plays a similar role in the Kanto region.